Is your mailbox lock not working? Or perhaps you would like to have a new mailbox lock installed? Whatever the problem may be, when it comes to getting a mailbox lock change, A1Locksmith is the company you should go to. We’re the best residential and commercial locksmiths around town as we’ve been in business since 1987. The services we provide to our valuable customers are better than any other locksmith in Toronto, Ontario and surrounding area. In other words, you can depend on us to provide you the best possible services. What’s more, we also provide a free estimate to our valuable clients. As such, it goes without saying that we make sure our customers get the most exceptional offerings from us. If you would like to avail the services of our expert technicians then call us today at 647-557-6403. 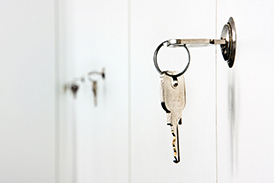 You will definitely not regret hiring the best locksmiths in Canada to help you out!